Greater Shepparton has an eclectic mix of arts and cultural experiences to capture the imagination of visitors and locals alike. Known as a multicultural melting pot, the region has a depth and diversity that is reflected in everyday life from our fabulous street art to the exhibitions in our award winning art museum. Shepparton Art Museum (affectionately known as SAM) is one of regional Australia’s premier cultural institutions. It underwent a major redevelopment in 2011-12 and now features international standard climate control, state of the art LED lighting, six new upstairs galleries and a new public programs workshop, complete with a kiln. SAM’s public galleries feature its permanent collection along with a series of changing exhibitions. SAM also provides a wide range of education and public programs. Open 7 days, 10am-4pm, public holidays 1pm-4pm. Entry into SAM is free! For more information, please visit the SAM website. 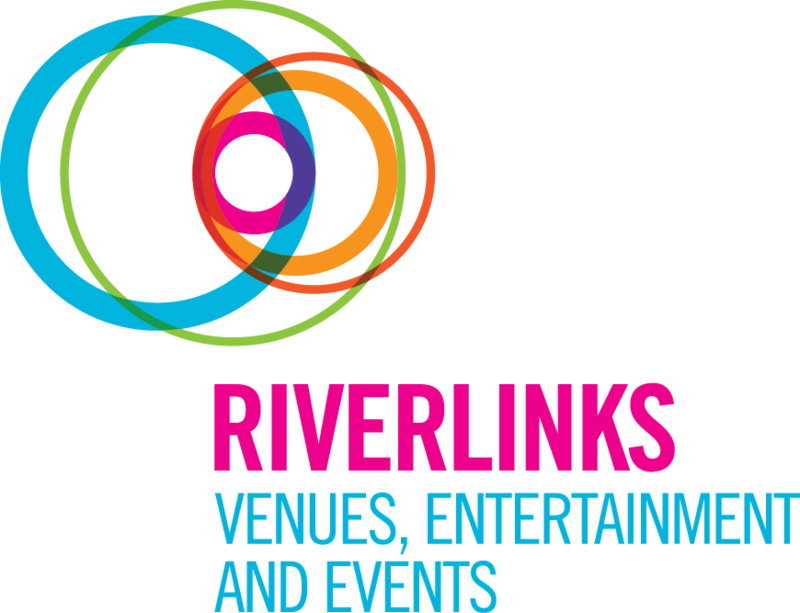 Riverlinks is the home of performing arts and entertainment in Greater Shepparton. With an extensive calendar of performances programmed for both the Eastbank Centre in Shepparton and WestSide Performing Arts Centre in Mooroopna, Riverlinks has the reputation for delivering one of the best arts and entertainment programs in regional Australia. Comedy, dance, music, theatre and family entertainment - whatever you are interested in, you are sure to find something exciting all year round. Drop in, grab a coffee or a light meal and discover a world of entertainment in the heart of the Shepparton CBD. For contact details and further information about the Riverlinks program, ticket bookings and hours of operation, please visit the Riverlinks website. Shepparton Festival has been successfully staged in March every year (1997-2013) and is regarded as a major calendar event within regional Victoria. The diverse program achieves a balance between the innovative and the mainstream in a way that was calculated to appeal to a wide audience. There is an emphasis on mixing community created arts with professionally produced and performed work. In March of each year, make sure you put plenty of time aside to take in the delights of the Shepparton Festival. For more information, please visit the Shepparton Festival website. 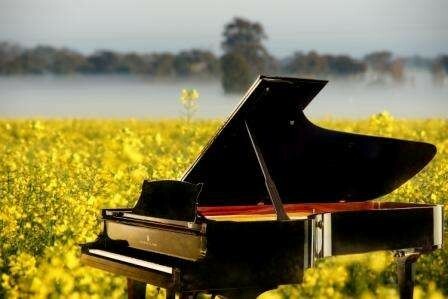 Acclaimed for its standard of excellence, the Australian National Piano Award is held every two years in Shepparton and represents a true test of artistic talent and technical mastery in the world of classical piano. Aged between 21 and 35 years, pianists from across the country compete for the top honour, national recognition, concert engagements and $65,000 in cash and prizes. Past winners have gone on to achieve international recognition. The Award is recognised nationally and internationally as one of the major music events in Australia and is broadcast by ABC Classic FM nationally. For more information about the award, including musician profiles, key dates and times, and media enquiries, please visit the Australian National Piano Award website. 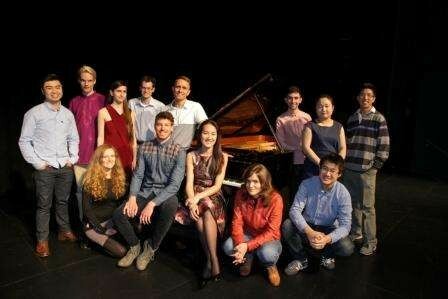 Finalists from the 2014 Australian National Piano Award in Shepparton. Greater Shepparton's Moooving Art is a unique and ever changing public art exhibition using a unique 3D canvas: life sized cows! 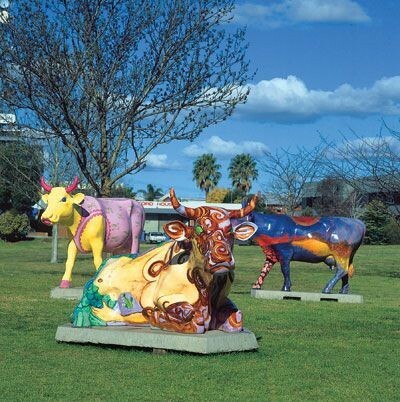 Scattered throughout the region in parks, gardens, public spaces and businesses, there are over 90 of our ever-changing colourful fibreglass girls in the herd. Each one is individual and distinctive in their persona. Keep track of the latest herd movements and new additions by following Moooving Art on Facebook and Twitter, or check out herd locations on the Moooving Art website. From time to time, Council provides a number of grants and funding opportunities to support the arts in Greater Shepparton. A list of all current and upcoming rounds of funding can be viewed online at Council's Grants and Funding Page.